We will present the Cashlogy POS 1500X high-performance model in Germany. Cashlogy improves the cash process at selling points, facilitating its management. IBA is the worldwide leading trade fair in bakery and patisserie. Cashlogy POS1500 has proven its effectiveness in rejecting all known false banknotes. 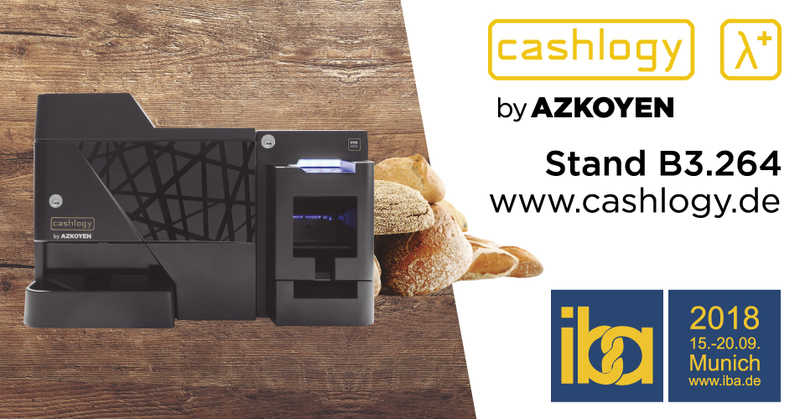 Azkoyen Group, a Spanish multinational company based in Navarra specialising in the design and manufacture of advanced technology solutions, will begin to sell the POS 1500x model in the French market, offering the most standard features of the Cashlogy series. It will be launched in Paris between February 3rd and 6th on the occasion of the Europain 2018, the exhibition centre in Europe for businessmen from the bakery and confectionery industry. – Cashlogy automates all cash processes at the point of sale and simplifies their management. – Cashlogy incorporates the most innovative technologies and positions the new POS 1500 series as one of the most reliable devices in the market. – EuroShop is held once every three years in Germany, showcasing all the developments in the retail sector around the world.